← Tim Tebow and Lolo Jones a Match Made in LoBow? Who Are We… that You would be mindful of us? Who am I? Whoever I am, Thou knowest O God, I am Thine. 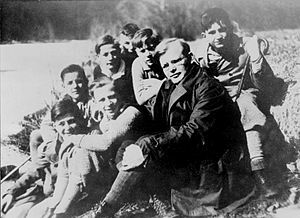 This entry was posted in Meandering with Moses and tagged Christianity, Dietrich Bonhoeffer, finding me, for who I really am, Moses, Religion and Spirituality, walk by faith not by sight, who am I, who God sees in me. Bookmark the permalink. 17 Responses to Who Are We… that You would be mindful of us? A really make-me-think work, Cee Cee! Of course, you’re always off on a good start when using Bonhoeffer quotes… one I love to read from and about. So true here… if we only bring ourselves to trust and believe who God is, what He is doing through the finished work of His Son, and not to miss… how He sees us, we can confidently walk on the path He prepares. I’ve come back and read this post several times now… good stuff. Great post! I had Holy Ghost chills sail over me! Your comment made my heart smile…thank you for the encouragement. Great post. Who of us hasn’t seen a little of Moses in ourselves at some point? Yes! That is true for me. What part of his life resonates with you the most? Thank you for taking the time to leave a comment. Blessings. We can see Moses doubting himself when he was firdt called of God. It was because of this questioning of his abilities that Aaron was then chosen to be along Moses. What a blessing it is for each of us to understand that winthin ourselves dwells no good thing. If we are to accomplish anything for the Lord it muct be through His gracious intervention and equipping of our lives. Yes, it is very interesting the role that Aaron plays. Aaron is already on his way to Moses when the Lord’s rage burned against Moses’ reluctance. Maybe Aaron was suppose to be a quiet helper? Aaron turns out to be an irresolute and troublesome leader. Thank you for pointing out his part in this…it reminds me that there is a warning if we do not grab hold of the Lord’s grace enablement. Blessings to you. cc. Thank you for posting these excellent questions for us to consider. Is doubing myself equal to doubting the call? If I believe The Caller, must I then believe that He knows who He calls and why He is calling? In my life, the times that I doubted the call were intimately intertwined with doubting myself. Do you find that so? Blessings to you. cc. ccragamuffin, before reading your questions, I would have said my doubt has been more in my abilities, or lack of them, to do what God is asking of me not in what He is asking. However, after more pondering, it is not possible to separate the two. Thanks for the challenge. This is what I love about the blogging community.